Having been married for 45 years and raising four children qualifies me to speak on this subject. People try to define love using words like commitment and compromise, but I think that real love is ultimately based on the marriage vow from The Book of Common Prayer. Perhaps if couples would internalize and truly live by these words society would benefit. 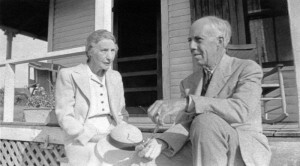 Texas – May 21, 1938: A husband and wife share a moment. Date is approximate; true date unknown. Till Death Do Us Part symbolizes everlasting love even after death. 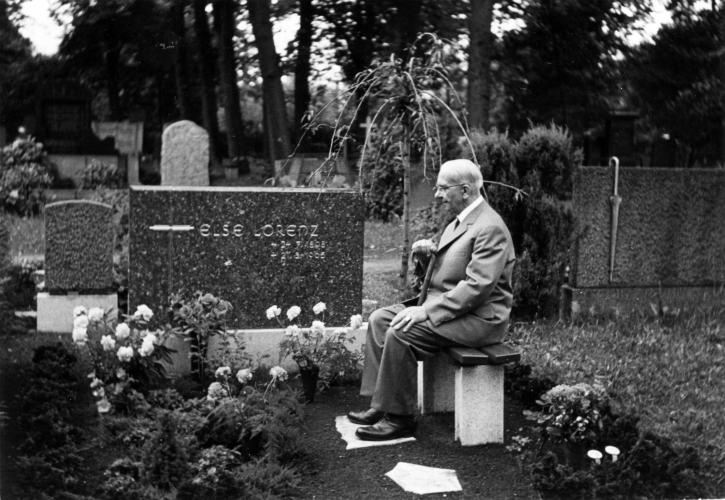 A man still mourns the death of his wife four months later in a California cemetery. Senior Texas Couple delineates the dedication of a husband and wife in getting through life. Pipe Smoker illustrates how a couple manages to stay together through love and compromise. Just Married symbolizes the hope for a bright future for these newlyweds. 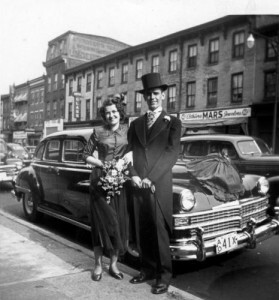 New Jersey – June 26, 1950: The new bride and groom. 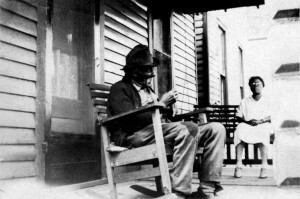 Evansville, Indiana – November 14, 1930: A man smokes his pipe on the porch.